Save more for retirement. We have programs that can help you achieve your goals. Protected by the NCUA up to $250,000, an IRA is an excellent way to grow your funds while deferring taxes. 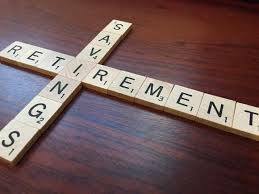 * Choose to open a Traditional or Roth IRA, depending on your situation. Offers tax-deferred earnings and the possibility for tax-deductible contributions. * These tax advantages make the Traditional IRA a powerful tool in creating a balanced, long-term savings plan. Qualified distributions are tax-free, flexible withdrawal options are available* and no required mandatory withdrawals. Earn even more interest on your IRA deposits by opening an IRA Certificate. Offering 1 year and 2 year terms to maximize your earnings. *The Internal Revenue Code may impose a penalty on withdrawals of taxable amounts before you reach age 59 ½. Contributions, distributions and withdrawals are subject to IRS limits. Consult with your tax advisor for additional guidance on which type of IRA may best fit your needs.